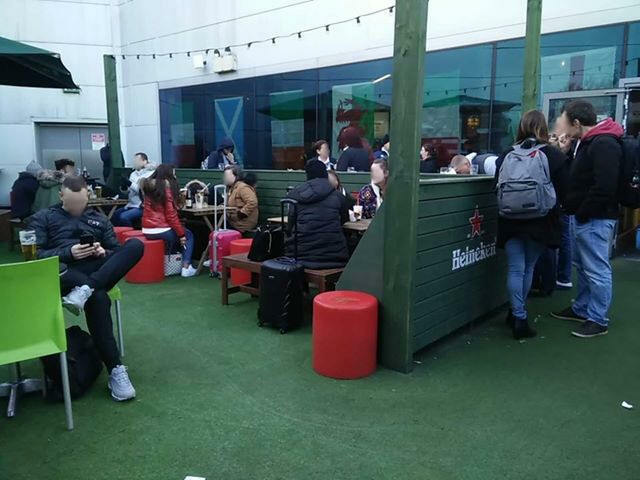 Update from Lubov C. on the 2nd Feb 2019: There's still a smoking area at T1, Dublin airport. It's on the second floor, above Starbucks. Photos below. 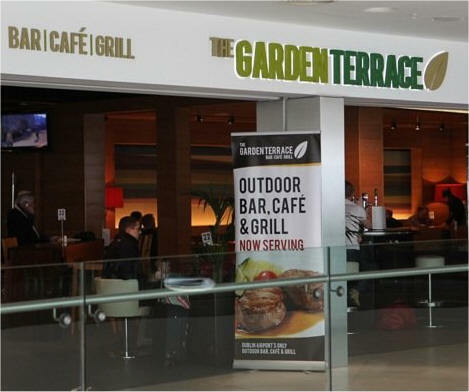 Once through Security go right and look for "Food Court 2", (it is located upstairs accessed by escalator or lift) here you will find the "Garden Terrace" were smoking is permitted. 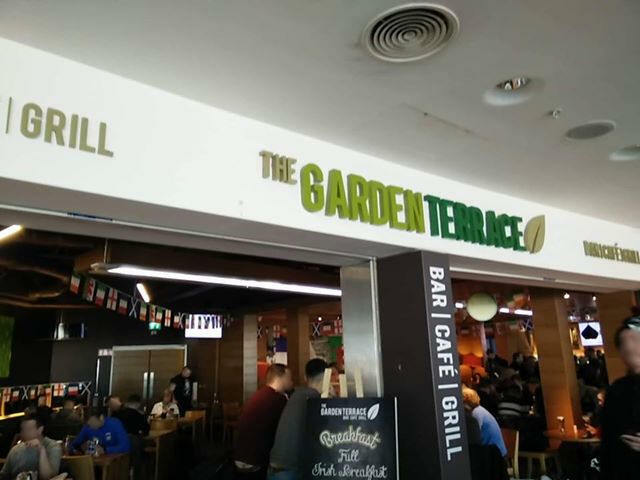 Dublin...T1 after security smoking area upstairs in beer garden, T2 has no smoking but after security follow the signs to gates 100 to 300 and keep walking all the way until you see Boots and other shops then you are in T1 and can go upstairs to beer garden, however it takes at least 10-15 mins each way so best add on 30mins for your smoke. Also to note you can walk to this area from Terminal 2 on the airside departures level, its a 10 to 12 minute walk each way.